Our SSMS Krispy Kreme Fundraiser will start on Monday, April 1 and run for 2 weeks. Forms are due back by Friday, April 12th. Delivery will be on Wed. April 17th from 3-6pm. 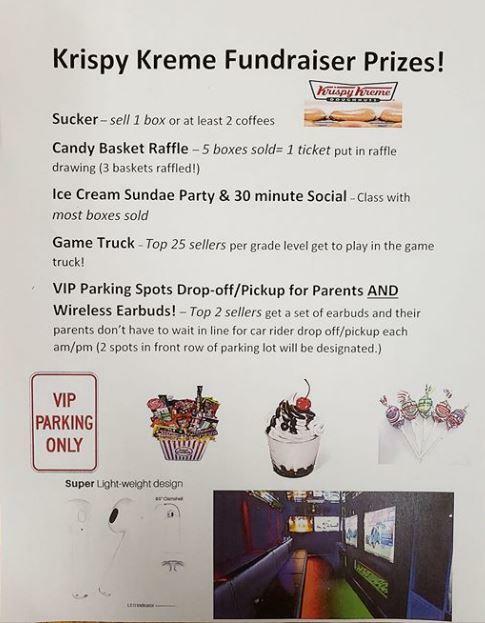 Check out the cool prizes for selling! !